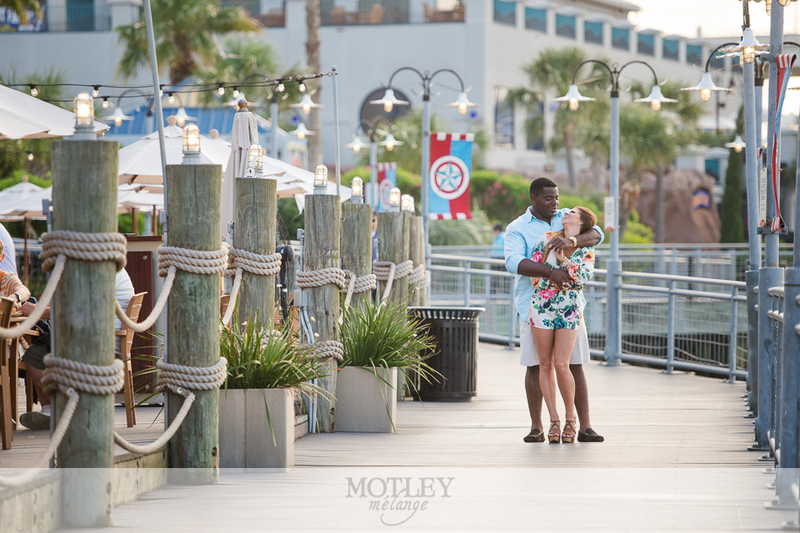 Summer time is made for outdoor picnics, family gatherings, boat rides, boardwalk dinners, fireworks and love. 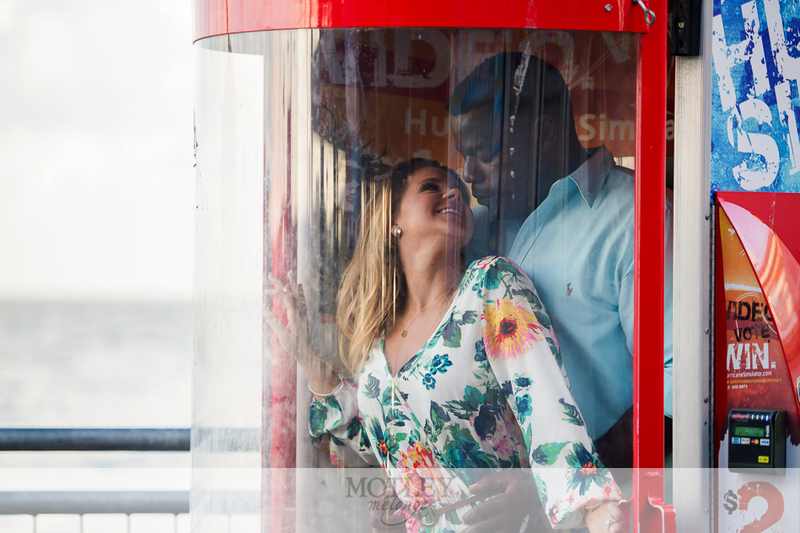 Jess and Yemi and knocked this boardwalk engagement session out of the park with their casual resort attire, gorgeous smiles and breathtaking passion. 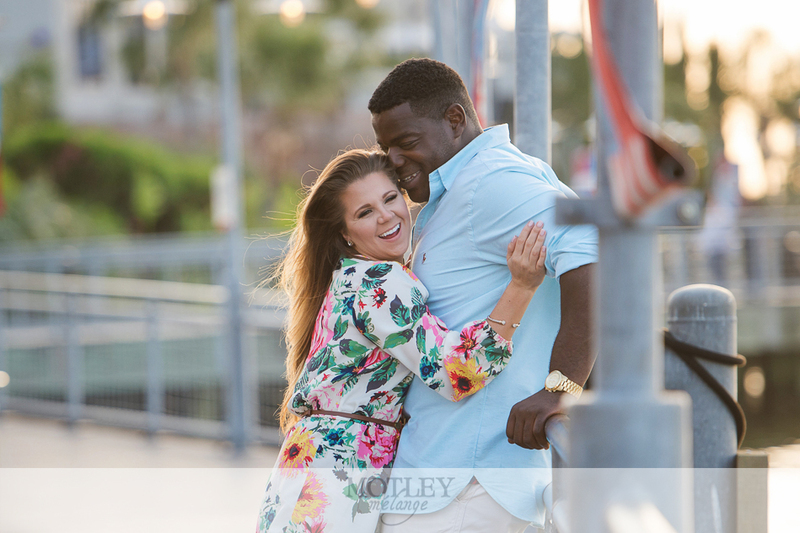 Getting a phenomenal couple like this one in front of the camera makes me fall in love with my job all over again! 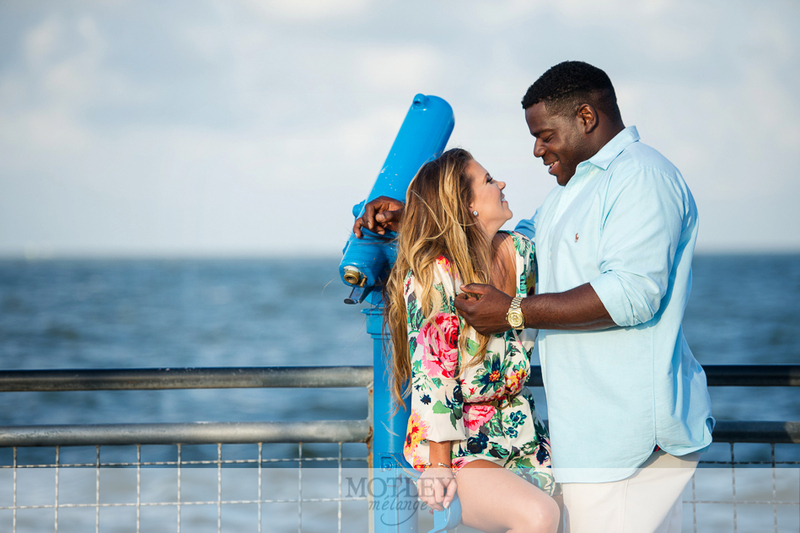 Flirty, fun, and a little editorial with loads and loads of passion! 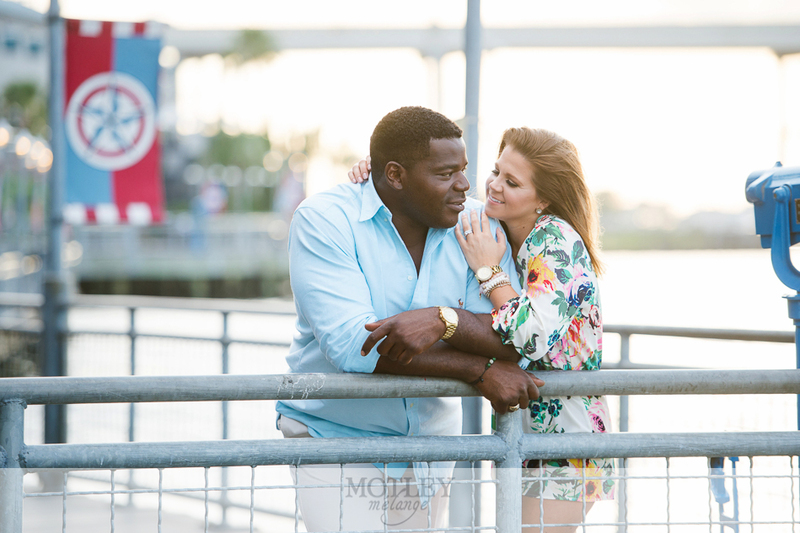 I swoon every time I see these photos! 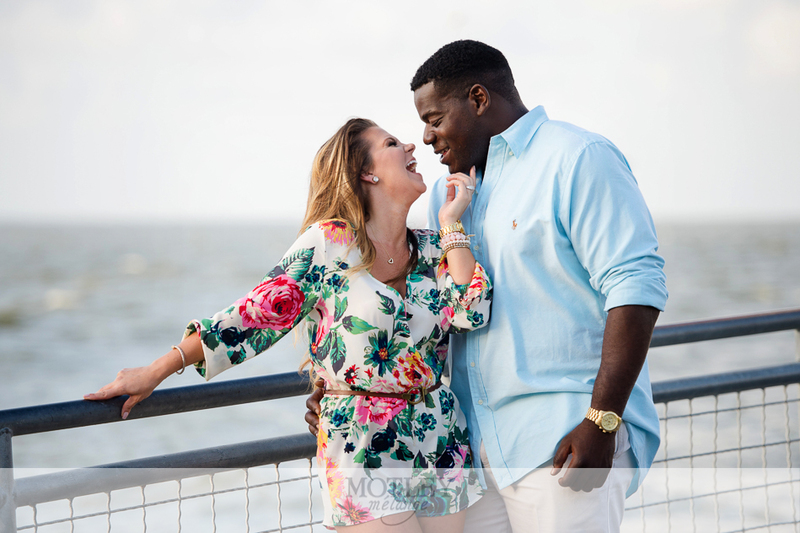 Favorite part of this session? Her outfit. Yemi looks absolutely wonderful paired up next to Jessica’s floral romper and sky high platform wedges. Ladies, take note: Heels are necessary and I’ll give you three reasons why. Ready? ONE: Looong leggggs! Every girl dreams of long gloriously lean legs. A quick way to get there is to throw on some 4+ inch heels. TWO: Posture! Walking on the balls of your feel gives us better posture which is always flattering for photo time. And lastly, THREE, and I can’t say this loud enough: CONFIDENCE! When we’re strapped and laced in our striking stilettos there’s an air about us that makes us feel like we can take on the world, one runway walk at a time! We’re long and lean flirt machines and I can guarantee you’ll FEEL more beautiful, brave and confident when you’re strutting your way through your session. It’ll make your man smile too!